Маленький Американский Лэйбл (Los Angeles, California). Специализируется на выпуске записей Jazz, New Age, World. Цена дисков вполне доступна (ориентировочно: CD - 14у.е., SACD - 21у.е., DVD - 25у.е. - в Москве). Диски характеризует отличное качество звучания и оригинальный фирменный дизайн. 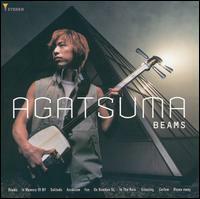 Hiromitsu Agatsuma is a truly gifted player of the shamisen, the traditional three-string Japanese instrument. On Fred and George's debut release, Flamenco Dreams, this remarkable guitar duo present an array of songs that range from peace melancholy ballads to fiery flamenco rumbas. 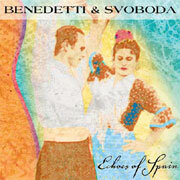 The traditional Spanish flamenco flair is melded with southwest Novelle Flamenco nuance. Spanish Gardens is an exciting and eclectic mix of virtuoso guitar music in a variety of styles and moods. Former Wishful Thinking keyboardist and Emmy winning composer Chris Boardman spent two years honing some absolutely astonishing material with some of the L..A. club scene's top stalwarts in preparation for this stellar debut. 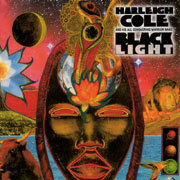 As a grandson of legendary Nat 'King' Cole and nephew of superstar Natalie Cole, smooth-jazz artist Harleigh Cole clearly shares his grandfather's affinity for keyboards and his aunt's flair for musical excellence. 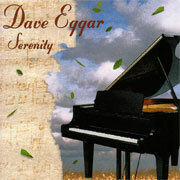 Yet, as both an individual and artist, he discovers his own musical frontiers and explores his personal artistic vision. Confessions of a Dangerous Mind / O.S.T. In addition to his celebrated work in the classical world, Dave has performed in a wide range of musical styles with acts that include The Who, John Denver, Ornette Coleman, Sinead O Connor and Bobby McFerrin. 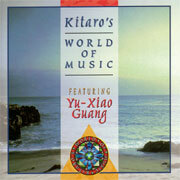 Produced by Kitaro, the World of Music features and highlights the talents of Chinese Hulquin (violin) player, Yu-Xiao Guang. 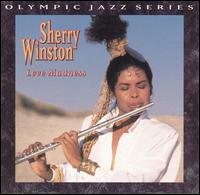 He was also prominently featured on Kitaro's Golden Globe winning soundtrack for Oliver Stone's film, Heaven and Earth. 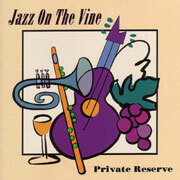 The quartet, originally from Northern California, makes its debut for Domo Records with Private Reserve. 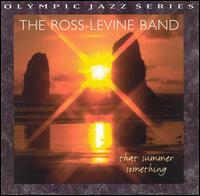 It's flavored with the funky and traditional, upbeat and romantic and the crisp and mellow. 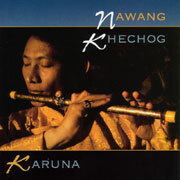 On Karuna, Nawang makes full use of his newest innovation, the Universal Horn. It's a combination of Tibetan long horn and Australian Aboriginal Didgeridoo. Combining Japanese Taiko drums, Tibetan long horns, cymbals, bells, Indian drums, South American rain sticks, flutes and Tibetan chanting, Nawang shares his experience with ancient sounds and the spirituality of Tibet. Gaia loosely translates to Goddess of the Earth or Mother Earth and Onbashira is a festival that occurs every seven years in Japan. During the Onbashira festival, eight individuals are chosen for spiritually cleansing. The participants ascend a mountain and attempt to spiritually connect with the heavens through the trees. These trees are then allowed to fall down the mountain and eventually become posts and the foundation of a ceremonial shrine. Through these events, these individuals learn to become more in touch with their spirits. On Kitaro's first studio album for Domo Records, Mandala is a journey that invites one on an adventure of the spirit and imagination. 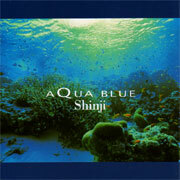 Resonant with exotic Japanese instrumentation along with the more familiar guitar, flute and drums, it shimmers one minute and rumbles the next by turns soothing and stirring, rhythmic and dramatic, yet surprising intimate. Peace on Earth is an atmospheric and intriguing holiday album that merges the finest of Eastern and Western culture instilling harmony and peaceful co-existence through melodies of passion and drama. 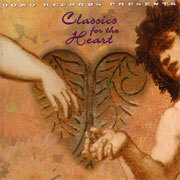 Features the Jeremy Lubbock and the London National Philharmonic Orchestra. 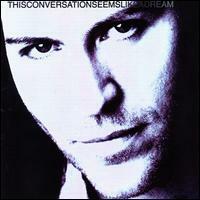 The album's theme concerns images and impressions of childhood. Co-produced by Grateful Dead drummer, Mickey Hart, The Light of the Spirit blends cinematic melodies and images from nature to explore spiritual aspects of the life cycle. 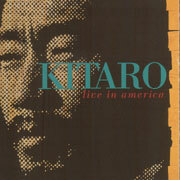 2CD: Features the best of Kitaro from 1976-1986. It features music from his best selling albums during this period including Silk Road, Oasis, India, Millenia, Ki, Tunhuang and Silver Cloud. Featuring the string section from the Skywalker Symphony, along with Kitaro's signature keyboard and flute sounds, the score to this thematic backdrop is full of passion and beauty that is masterfully conceived, arranged and performed. In addition to featuring some of Kitaro's signature works that include 'Heaven and Earth' and the 'Theme from Silk Road' it also contains selections from Mandala, Gaia Onbashira as well as Dream, Kitaro's collaboration with Yes' Jon Anderson. Featuring the vocals of Yes' Jon Anderson, Dream is full of awe-inspiring moments that revolve around the themes of the spiritual, romanticism and love. 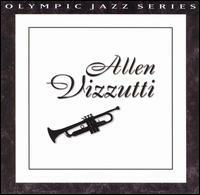 Recorded live during his world tour in 1990, it features music from Kojiki, The Light of the Spirit and his much admired, Silk Road album. 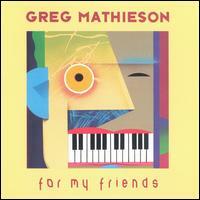 This Grammy Award winning release has garnered the accolades of die-hard and newcomers alike. As Kitaro remarks, "the 'You' in the titles signifies people close to me, those near and those far away from me. I tried to speak to each one of them through this musical expression. Take an extravagant excursion through the ancient civilizations of Egypt, Mesopotamia, the Indus Valley and China with Grammy Award winner Kitaro on his latest release, "Ancient". Kitaro manages to transport the listener to a mystical and contemplative place with the glorious textures of Great Pyramid. This magical journey also features the majestic and dramatic resonance of Nile and the eloquently evocative Unicorn, with it's airy, almost playful melodies. 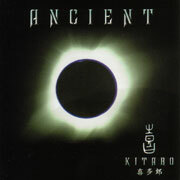 2CD: This two-disc set featuring 19 compositions is a wonderful glimpse into the great civilizations past through the eyes of musical pioneer and Grammy Award winning composer, Kitaro. In An Ancient Journey, Kitaro takes his audience on a trek to worlds far away. 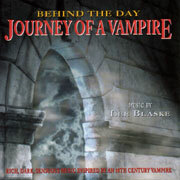 Listeners embark on a mysterious crusade, witnessing "the texture, life and spirit of the world's ancient people." Traditional Middle Eastern and Chinese instruments in addition to one of his favorite technological advances, the analogue synthesizer, make An Ancient Journey a melodic voyage, which is vintage Kitaro. 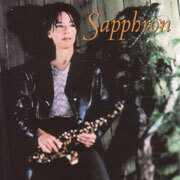 In addition to his signature arrangements, the recording features a new addition to Kitaro's musician family, Kristin Kanda on flute. Inspired by and written for the controversial Chinese film, The Soong Sisters, Kitaro's score features rich dynamic performances of orchestra colored by traditional eastern instruments. 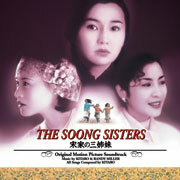 Based on the lives of three sisters who grew up in the tumult of China's struggles with communism and nationalism, The Soong Sisters is also a story of family, love and religion. With the help of Randy Miller, who conducts the remarkable performances of the Northwest Sinfonia, the rich sounds of the orchestra compliment Kitaro's arrangements with magnificent and intense beauty. 2CD: From the opening chant of the Yakushiji monks, it is apparent that this is going to be a special offering from Kitaro. The legendary World Music pioneer's latest album is a two-CD set recorded over three evenings in the sacred Yakushiji Temple in the ancient Japanese capital, Nara. With full instrumentation, Kitaro reprises nine favorite compositions from earlier albums, plus his Golden Globe Award-Winning theme from the Oliver Stone film "Heaven and Earth" and two previously unreleased tracks. 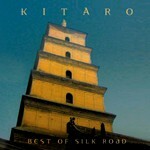 This is a tour de force for Kitaro and ensemble. All the drama, grace and humanity of his usual offerings are here with the added immediacy of the live recording and the profound spirit of the Yakushiji monks who appear on the previously unreleased "Wa" in addition to the opening track. Live in Yakushiji is a broad and deep journey, to inner realms as well as exotic earthly destinations. 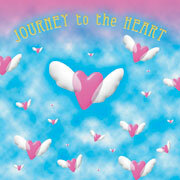 After his journey, you will definitely feel like you've gone somewhere!! 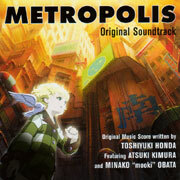 Domo Records is proud to present the original soundtrack composed by Toshiyuki Honda. 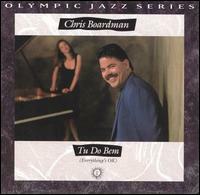 The music blends the New Orleans, Dixie style jazz with classical music. 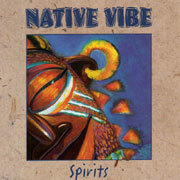 Spirits is an innovative compositional achievement reflecting a glorious evolution in the African-Jazz form and illustrates a range of musical moods as vast and as flavorful as the African Serengeti, yet smooth, contemporary and funky. 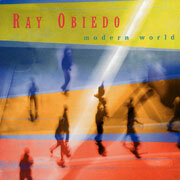 Demonstrating an exceptional talent for mystically melding urban jazz with Brazilian funk and dynamic Carribbean rhythms, Ray has developed a very unique and distinctive guitar signature. His reputation for musical excellence, versatility and raw rhythmic creativity has earned him countless session gigs with Herbie Hancock, George Duke and Rodney Franklin. Featured guest performances include Ray Obiedo, Joy Julks and Phil Schroeder. 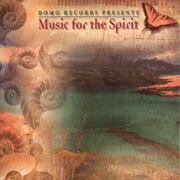 Features wind and percussion music native to Pre-Columbian Mexican Cultures. Lush arrangements that include strings, guitars, synthesizers and accordions evoke folkloric themes and evocative aural landscapes. 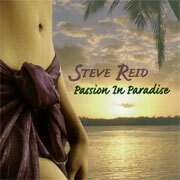 Legendary jazz icon Miles Davis described Steve Reid as "One of the most imaginative percussionists of the decade". Outstanding collection of pieces that demonstrate brilliant compositional skill, prodigious musical talent and exceptional artistic vision. A Descendant of the Baroque composer Christoph Willibald Gluck (1714-1787), Uma was originally trained as a classical pianist. With 15 recordings in her discography, this multi-talented musician has been producing and recording music as well as narrative guided meditation recordings since 1985. 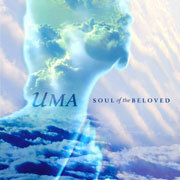 As well as being the author of four books including the international best seller, "The Complete Crystal Guidebook," Uma has an illustrious and distinctive history in sound healing, yoga and shamanism practices. Stimulating arrangements of piano and violin underscore the clarity and passion found in the Romantic works of Chopin, Beethoven, Rachmaninov and Debussy. 'Moonlight Sonata' and 'Claire de Lune' along with twelve of the most popular classics works color the senses and bloom here with the beauty of Romantic rediscovery. 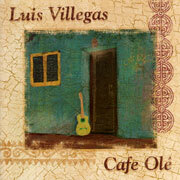 Luis Villegas' brand of Latin music is equal parts finger-shredding arpeggios, infectious rhythms, languid, hypnotic jams and intricate unforgettable melodies. 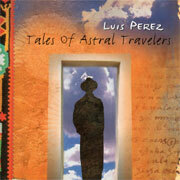 His band percolates with passion while Luis' virtuoso guitar floats above the fire. Caf9 Ole features his band augmented by first-call players -Abraham Labriel, Greg Bissonette and Steve Reid.